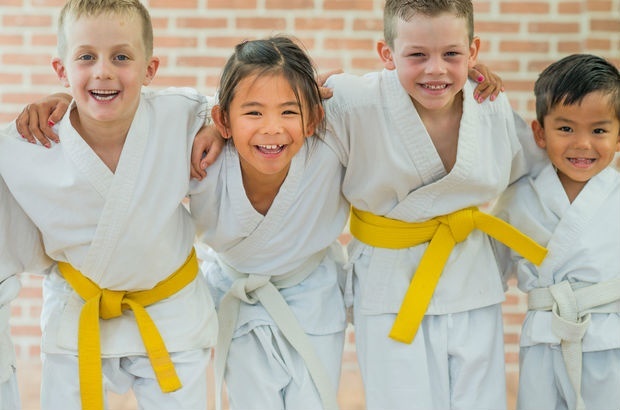 5 brain-boosting reasons your kid should take up martial arts today! From increasing attention span to significantly reducing aggression, research has proven there's more to martial arts than just great films. We are all aware that exercise generally has many benefits, such as improving physical fitness and strength. But what do we know about the effects of specific types of exercise? Researchers have already shown that jogging can increase life expectancy, for example, while yoga makes us happy. However, there is one activity that goes beyond enhancing physical and mental health – martial arts can boost your brain’s cognition too. Researchers say that there are two ways to improve attention, through attention training (AT), and attention state training (AST). AT is based on practising a specific skill and getting better at that skill, but not others – using a brain training video game, for example. AST on the other hand is about getting into a specific state of mind that allows a stronger focus. This can be done by using exercise, meditation, or yoga, among other things. It has been suggested that martial arts is a form of AST, and supporting this, recent research has shown a link between practice and improved alertness. Backing this idea up further, another study showed that martial arts practice – specifically karate – is linked with better performance on a divided attention task. This is an assignment in which the person has to keep two rules in mind and respond to signals based on whether they are auditory or visual. In a US study, children aged 8-11 were tasked with traditional martial arts training that focused on respecting other people and defending themselves as part of an anti-bullying programme. The children were also taught how to maintain a level of self-control in heated situations. The researchers found that the martial arts training reduced the level of aggressive behaviour in boys, and found that they were more likely to step in and help someone who was being bullied than before they took part in the training. Significant changes were not found in the girls’ behaviour, potentially because they showed much lower levels of physical aggression before the training than the boys did. As several scientists are now looking into the links between emotional well-being and physical health, it’s vital to note that martial arts have been shown to improve a person’s emotional wellbeing too. In the study linked above, 45 older adults (aged 67-93) were asked to take part in karate training, cognitive training, or non-martial arts physical training for three to six months. The older adults in the karate training showed lower levels of depression after the training period than both other groups, perhaps due to its meditative aspect. It was also reported that these adults showed a greater level of self-esteem after the training too. After comparing a sedentary control group to a group of people doing karate, Italian researchers found that taking part in karate can improve a person’s working memory. They used a test that involved recalling and repeating a series of numbers, both in the correct order and backwards, which increased in difficulty until the participant was unable to continue. The karate group were much better at this task than the control group, meaning they could recall longer series of numbers. Another project found similar results while comparing tai chi practice with “Western exercise” – strength, endurance, and resistance training. Evidently, there is far more to martial arts than its traditional roles. Though they have been practised for self-defence and spiritual development for many hundreds of years, only relatively recently have researchers had the methods to assess the true extent of how this practice affects the brain. There are a such a huge range of martial arts, some more gentle and meditative, others combative and physically intensive. But this only means that there is a type for everyone, so why not give it a go and see how you can boost your own brain using the ancient practices of martial arts. Ashleigh Johnstone, PhD Researcher in Cognitive Neuroscience, Bangor University. This article was originally published on The Conversation. Read the original article. Has a sport (or any other extracurricular activity) dramatically improved your child's academic performance or emotional wellbeing? Tell us your story by emailing to chatback@parent24.com and we could publish your letter.